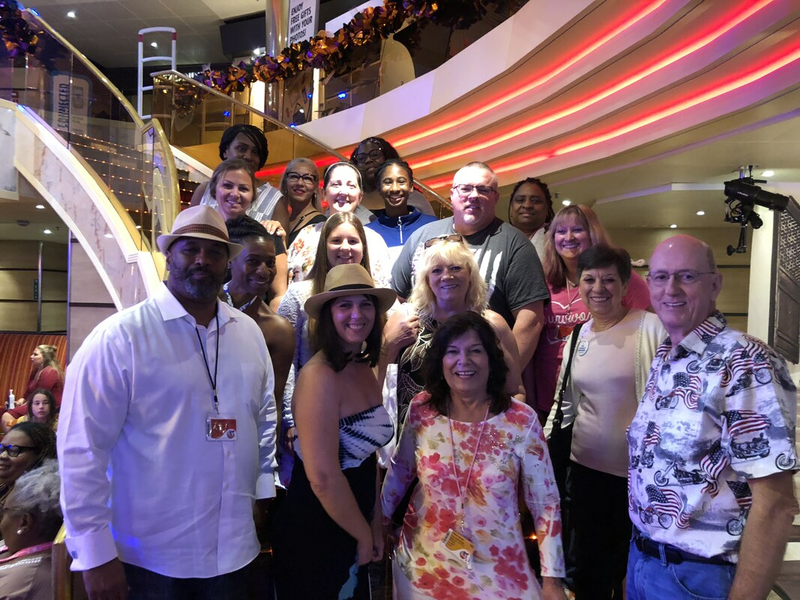 On October 28, 2018 we set sail onboard Carnival Sunshine. There were 19 of us sailing as a group and 6 of us are breast cancer survivors. We visited Amber Cove and Grand Turk and everyone had a fantastic time. This was a special cruise as were were raising money for I'mpact One Breast Cancer Foundation. Their mission is to alleviate the financial and emotional burden experienced during expensive breast cancer treatment and recovery. They will provide prosthetics, wigs, bras and post surgical garments. I'mpact One will also help provide emotional support, education, awareness and external resources for you and your loved ones during this journey. I'mpact One is dedicated to improving the quality of life for female breast cancer fighters, their I'mpact One circle believes that no woman should have to battle cancer alone.